Continental Airlines (Houston) announced plans to begin nonstop flights between the Newark Liberty hub and Cairo, Egypt, beginning on May 18, 2011, subject to government approval. 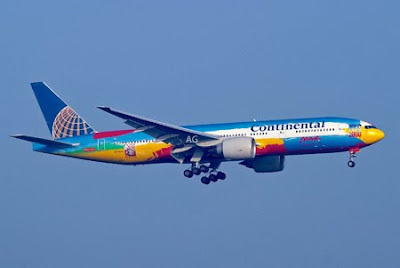 Cairo, the major city in Africa and the Middle East, will be the 72nd international destination that Continental serves from its New York hub at Newark Liberty International Airport and the 30th city in Continental's trans-Atlantic route network. Continental will functions the approximately 5,600-mile flight with a Boeing 777-200 ER aircraft, seating 50 customers in Business First with flat-bed seats and 226 customers in economy class. Flying time eastbound will be roughly 10 hours, 25 minutes, and westbound will be approximately 12 hours, 10 minutes.